Sana Baloch is counted amongst the most recognized and well renowned fashion designers in Pakistan. She entered into the fashion world almost seven years ago and since that time she is whole heartedly serving the women section with her magnificent and dazzling looking clothes. Her brand basically deals in casual wear, formal wear and semi formal dresses. Every year Sana Baloch has always gained the women attention by showcasing her striking clothes and every time there is something exceptionally unique in her collection and that’s the main reason that every year women anxiously wait for her upcoming latest collection. She has even highlighted her fashion talent in Designers Lounge Dubai and Abu Dhabi. 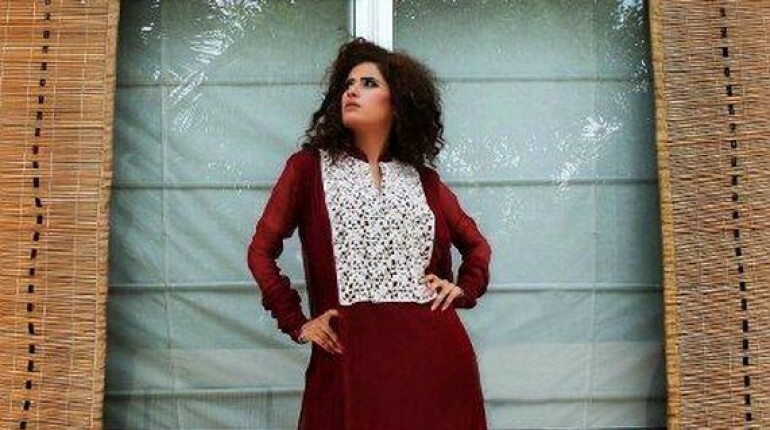 Freshly, Sana Baloch has introduced her trendy and fresh formal wear collection 2012. The entire collection reflects the symbol of elegance and chic style statement. All the formal dresses have been designed according to latest fashion in fashion world. 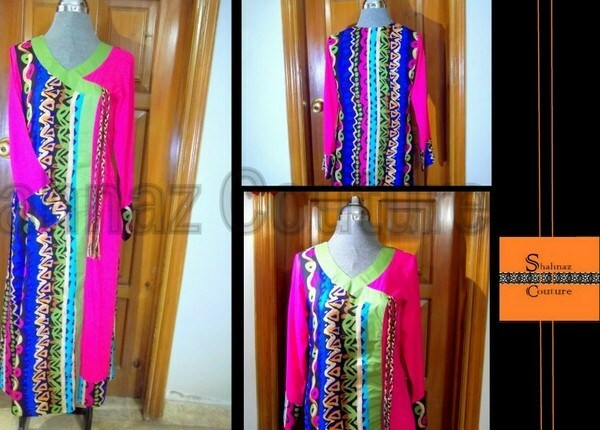 In addition, Sana Baloch formal wear dresses includes bright and vivid colors such as red, orange, yellow and blue. 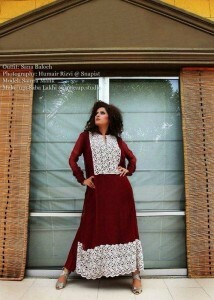 In this post, we are allocating some of the stunning pictures of Sana Baloch formal wear collection 2012. Furthermore, for attracting the people towards the collection she has even highlighted her collection in a form of photo shoot. The model featuring the formal collection is Samra Malik. The cinematography has been arranged by Humair Rizvi at Sanpist. Whereas the hairstyling and makeup is completed by Saba Lakhi at Mac up Studio. In addition, Sana Baloch formal wear dresses collection is readily available at Prêt Store in Dolmen Mall at Karachi. Moreover, Sana Baloch collection looks additionally stunning because of the appearance of finest material and fabric used in the garments along with the unique cuts on the shirts. In simple words, all the women who want to try the Sana Baloch collection ones they should not waste their time anymore and just grab the outlet now and we are completely sure that you would definitely say WOW…..